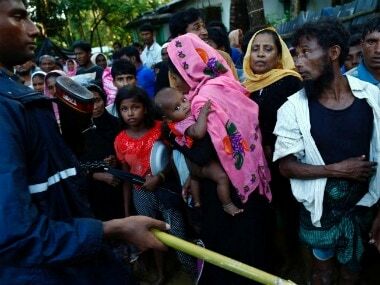 Yangon: Police in western Myanmar fired warning shots after a Buddhist mob tried to block humanitarian aid headed to an area where ethnic Rohingya Muslims were driven from their homes, police have said. No injuries were reported and police arrested eight participants. Around 300 men started throwing rocks and Molotov cocktails at officers protecting a truck delivering supplies from the International Committee of the Red Cross to a jetty in the Rakhine state capital, Sittwe, said police officer Phyo Wai Kyaw. The bottled water, blankets, mosquito nets, food and other supplies were being delivered by boat to northern Rakhine, where members of the long-persecuted Rohingya community have been without any meaningful form of humanitarian assistance since violence broke out last month, sending an estimated 421,000 fleeing to neighbouring Bangladesh. 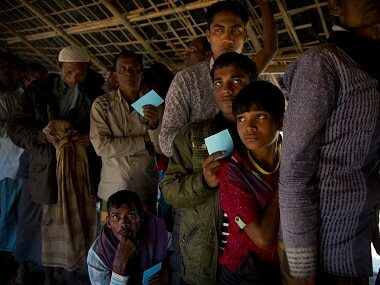 The exodus followed a military crackdown in response to coordinated attacks by Rohingya militants on security forces. Hundreds of thousands Rohingya Muslims and Buddhist Rakhine are still in the area. Though Myanmar's leader Aung San Suu Kyi assured diplomats earlier this week that humanitarian assistance was being delivered to those in need, the government has blocked United Nations aid agencies that have worked in the area in the past. Buddhists in Rakhine have accused international aid groups of favoring Rohingya. "We are explaining to the community members who approached the boats about the activities of the Red Cross," said Maria Cecilia Goin, a communications officer at the ICRC Yangon. 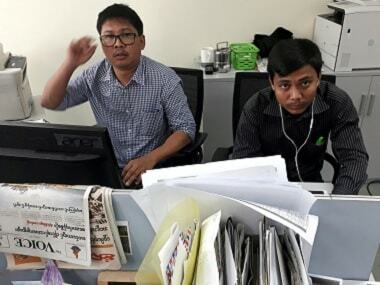 "It's important for them to understand that we are working in neutral and impartial way," she said, adding that the work is being done "with full transparency with the Myanmar authorities."